Welcome Travellers. If your feet are weary, be cheered, for your road is nearing its end. 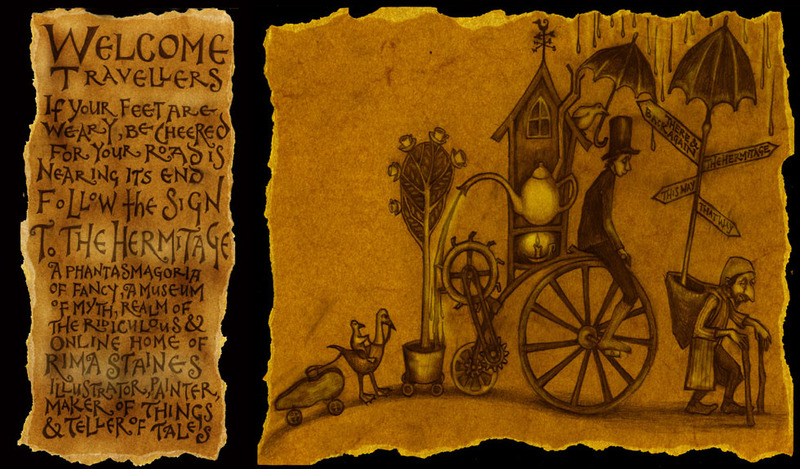 Follow the sign to the Hermitage, a phantasmagoria of fancy, a museum of myth, realm of the ridiculous and online home of Rima Staines, illustrator, painter, maker of things and teller of tales.